Roger V. Wahlman, D.D.S. is your complete Family Dental Office. Conviently located in Angels Camp and even Saturday hours can be arraigned.. 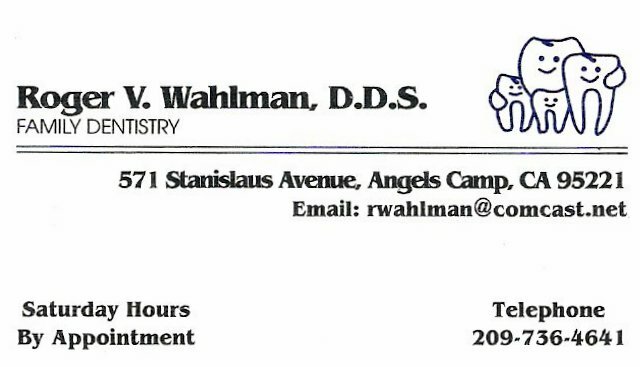 Thank You Shannon Russell, DDS of 1st Impressions Dentistry and Staff!